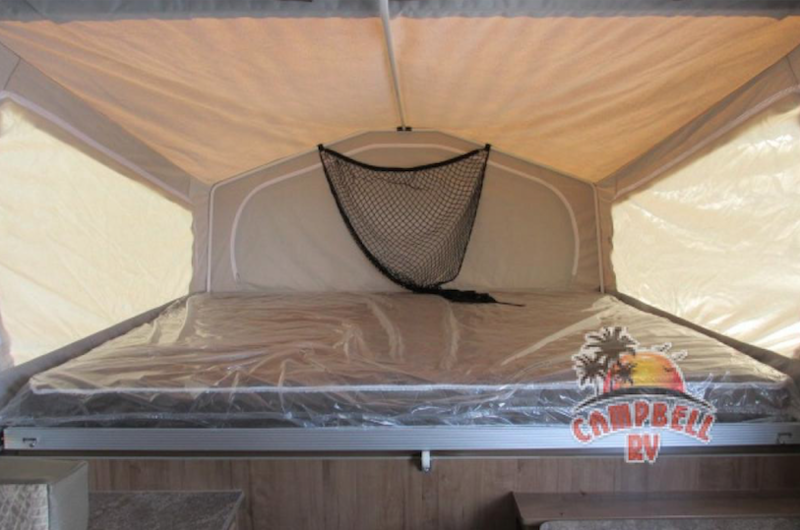 Pop up campers are a great option for individuals, couples, and families looking to up their camping game. 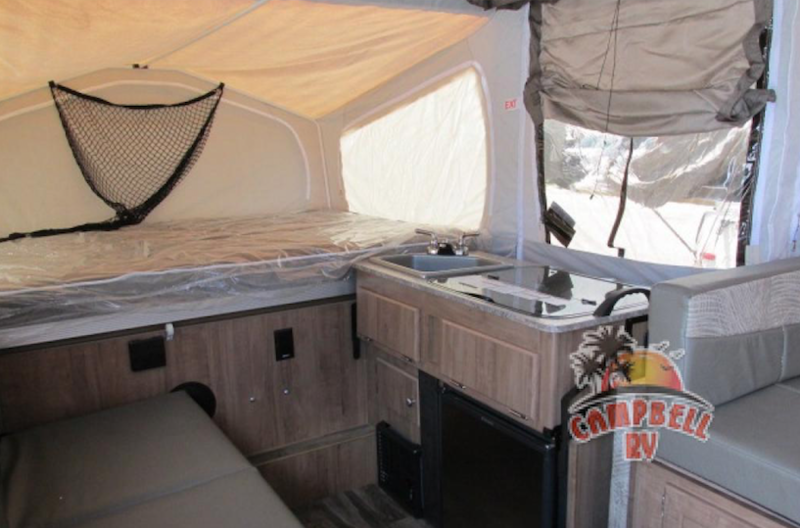 If you want to move from tent camping into an RV, a pop up camper is a great way to affordably make that happen. 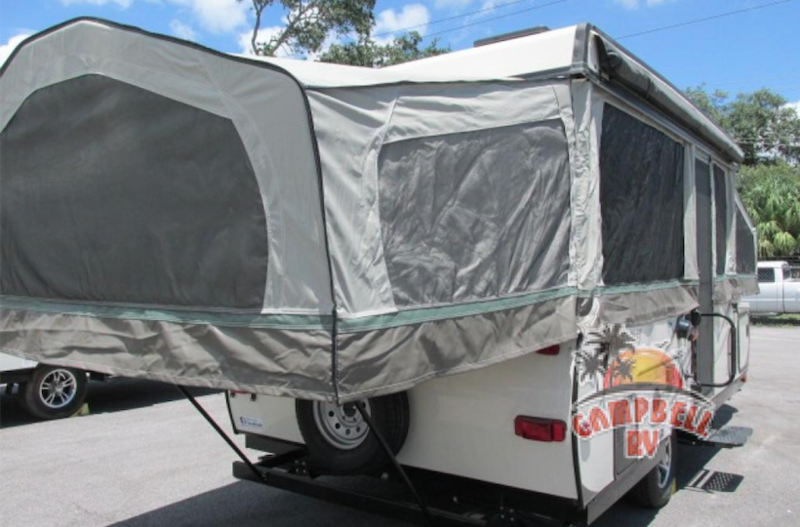 It’s one of the reasons we are proud to be your Flagstaff folding pop up camper dealer. Just because your RV is compact enough to fold up and tow with a crossover vehicle doesn’t mean it has to lack in features. In fact, from the moment you walk into a Flagstaff Classic floorplan you’ll notice the careful attention paid to every last detail. And while the kitchen in the Flagstaff Classic may appear to be bare-bones, it really provides everything you need — a sink, cooktop and refrigerator. After you spend the day making memories with the family, wouldn’t you love coming home to a nice, dry, plush, inviting bed? Those are just a few of the words you can describe the sleeping area in the Flagstaff classic. It’s spacious and inviting. 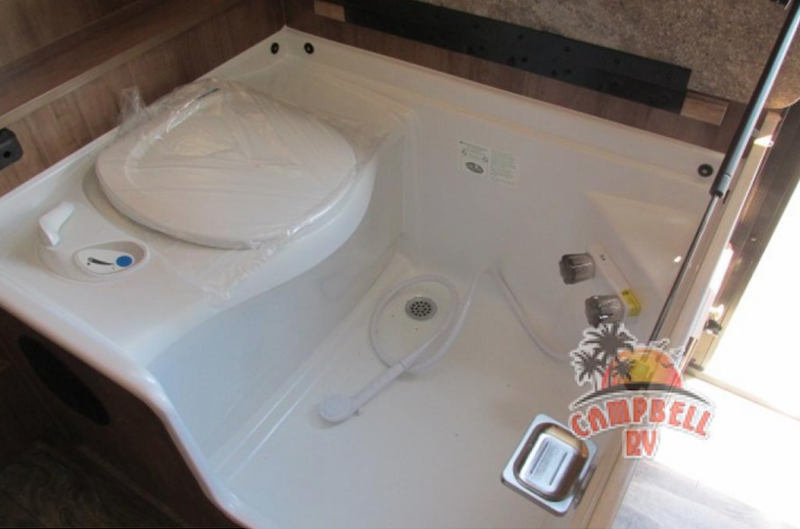 No more porta-Johns or heading out of your tent in search of a bathroom. The wet bath offers a toilet, as well as a shower all in one. The way this works is you simply use the bathroom as you always would and keep the toilet lid down when you’re showering. It’s actually genius and makes cleaning your bathroom super easy! If you’re interested in learning more about our Flagstaff Classic folding pop up trailers for sale, contact us or stop by to walk through available units. Our team is dedicated to helping you find the best RV for your needs and will answer any questions you have. We can also help get you set up with RV financing.